AC Energy Holdings, Inc. Located at Makati City. The Company is dedicated in Building a portfolio of Power Generation resources using renewable and Conventional Technologies. 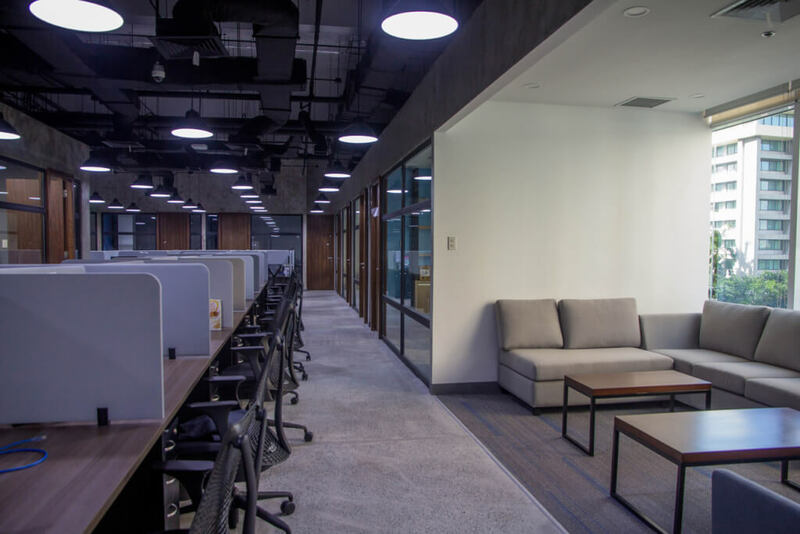 SDW Realty was commissioned to create a work-space that would reflect an image of simplicity with the necessary character so that the Client felt identified with their brand. 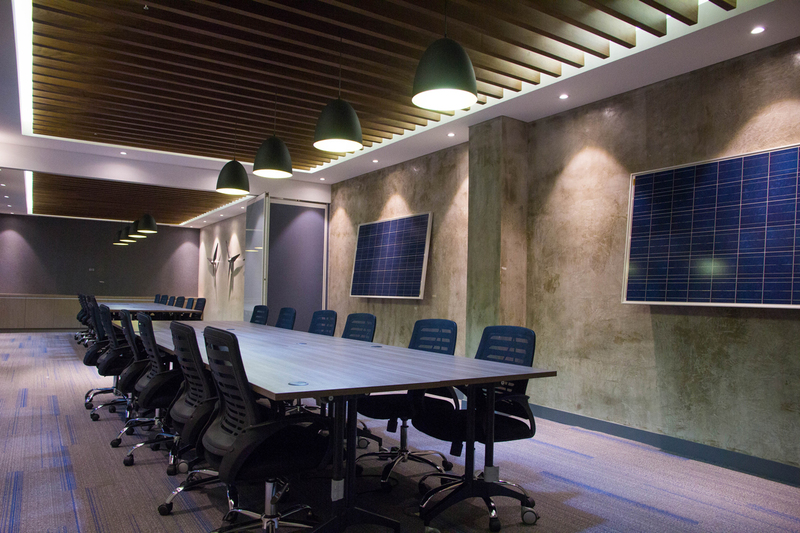 One of the many meeting rooms; designed with pure simplicity and heavy Industrial look with polished concrete walls and wooden ceiling trellises. 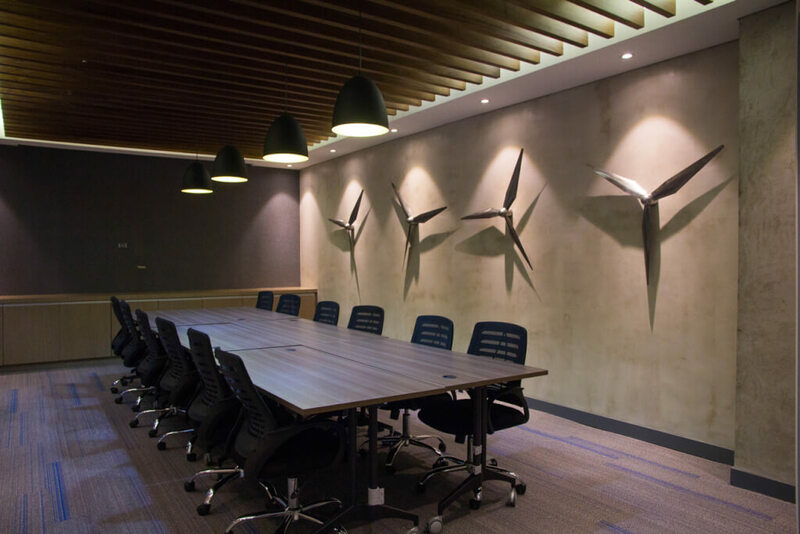 Wind Turbine Blades were used as the main accent of the room. 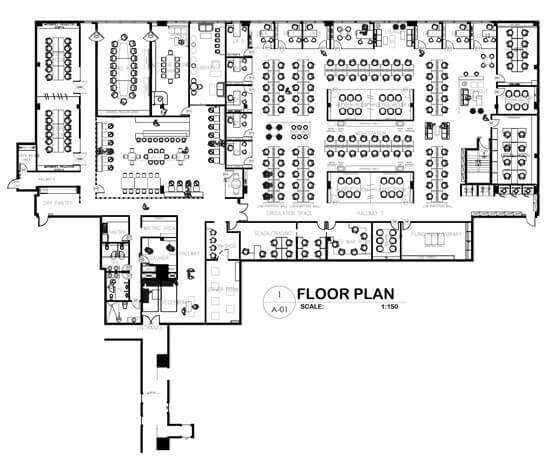 High STC ratings in meeting spaces were expressed through the initial design brief. 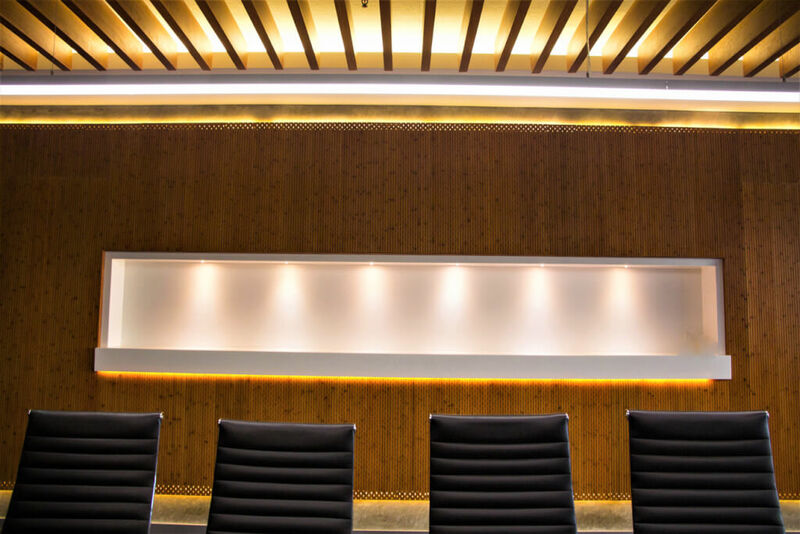 Plyboo by Smith & Fong which is a renewable bamboo panel combined with sound absorbing material for acoustical performance was used in the main board room. Simplifying the design of the furniture to help Generate Spatial continuity and steadiness. 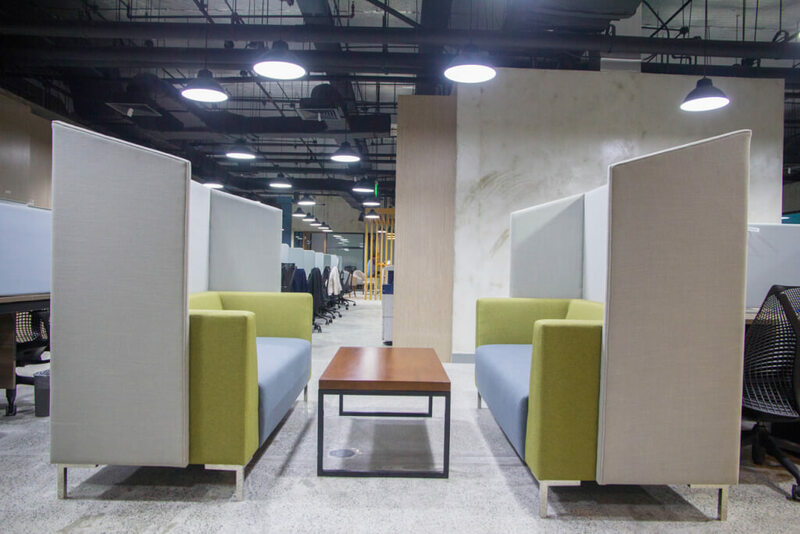 Wooden back cabinets and trellises separates the Employee’s lounge to other main areas. 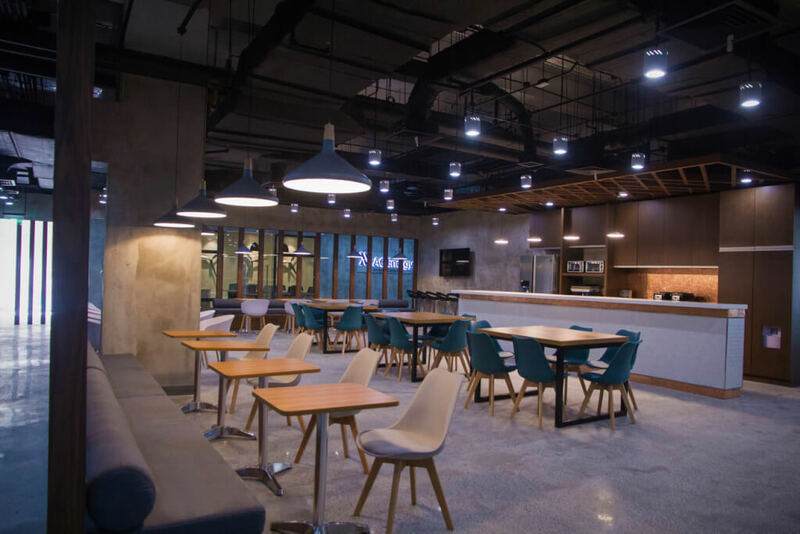 There is an inherent truthfulness in the use of materials, most of which are left exposed – polished concrete flooring, cement board partitions and exposed ceiling. 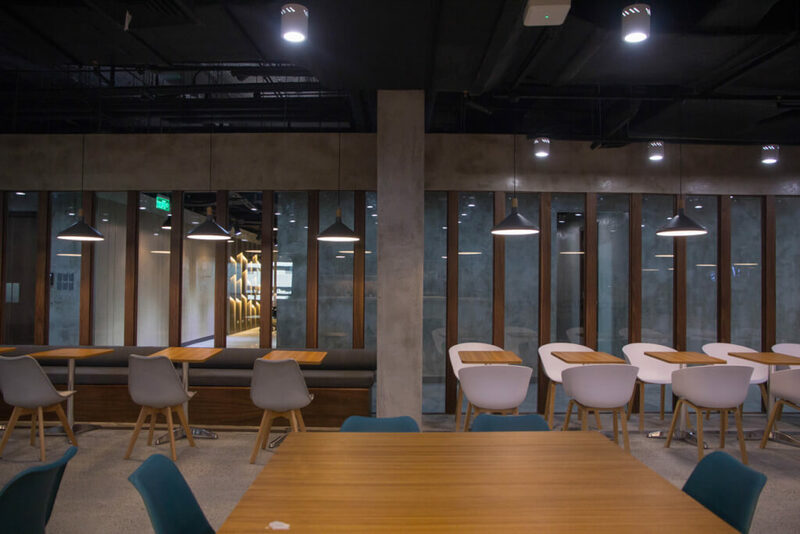 This rustic theme is contrasted well with the sleekness of glass and the sleek black American walnut casework and joinery, which creates an ambiance of working amidst modern industrial office setting. 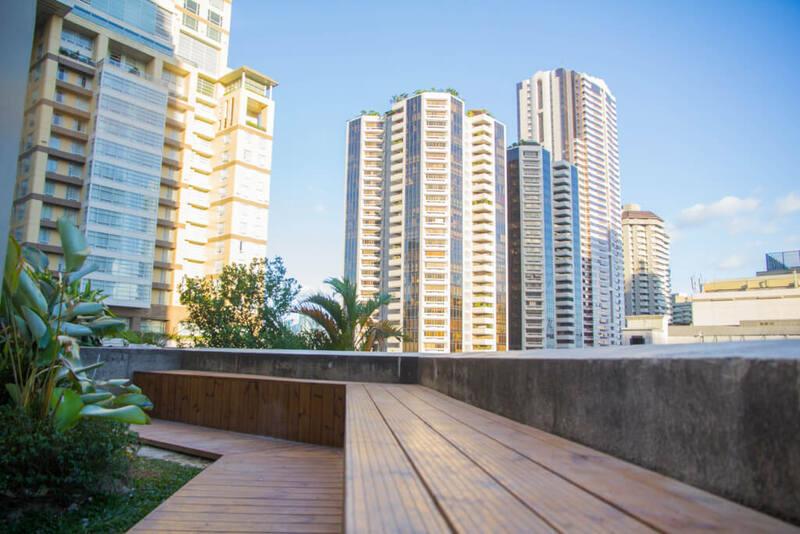 Overlooking Ayala Makati The terrace is converted into a garden and lounge which adds another layer against the hot tropical climate and helps keep the interiors cool.